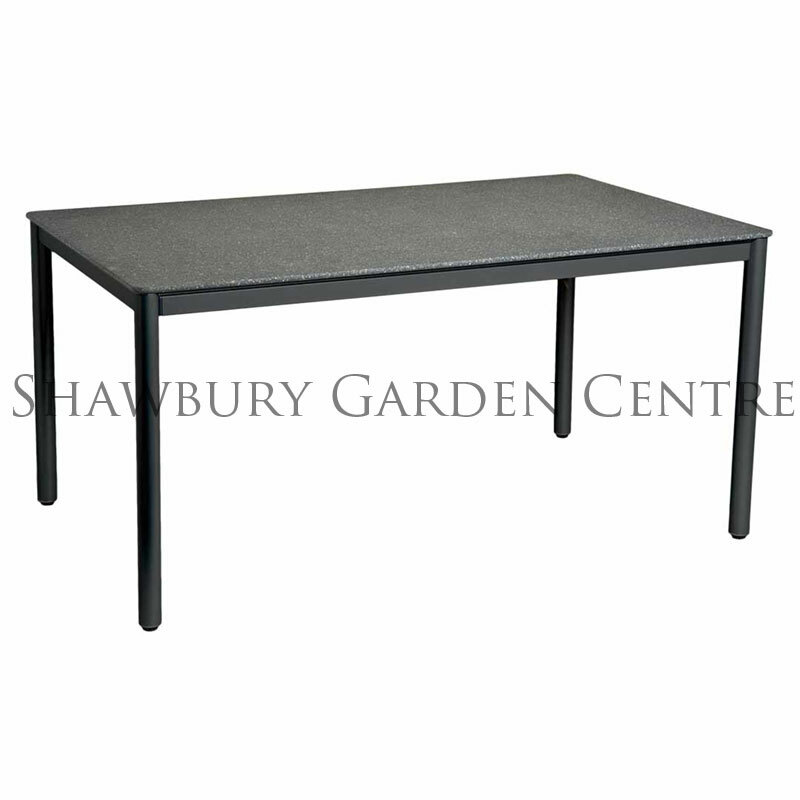 Garden table with strong, durable aluminium base and 'stone' (compact fibreglass cement) granite effect top. 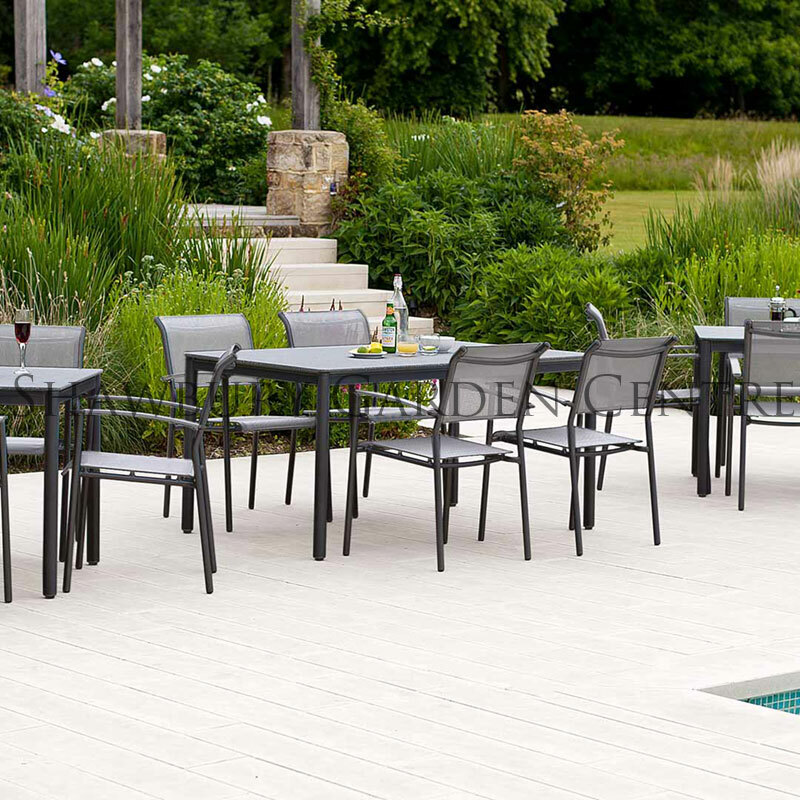 Alexander Rose introduced the outstanding Portofino metal garden furniture collection in 2012. Eye catching, practical and comfortable, the Portofino collection combines great design with high quality materials.